I am a qualified Chartered Librarian offering school library, reading and literacy advice, support and training. I have over twenty five years’ experience delivering customer-focused services in educational environments, supported with project management and promotional skills gained in business and non-profit organisations. A skilled communicator, delivering training, workshops and presentations to librarians and teaching staff, I also publish regularly on reader development, library and literacy-related topics in both librarian and educational journals. I am passionate about the value and benefits that all libraries can bring to their community. I am an organiser, a “go-to” person who gets things done within deadlines, using creative solutions to achieve results. 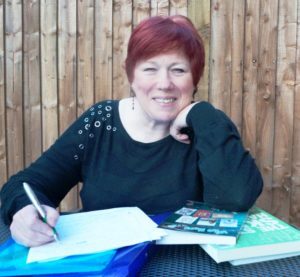 I am actively involved in my professional organisations, being Past President of the Chartered Institute of Library and Information Professionals (CILIP) and Chair of the School Library Association (SLA) Central & East Berkshire branch. I can offer you a personalised service to suit your requirements whether this is a complete library refurbishment, stock reassessment, introducing reading and information literacy initiatives, or training for you to develop your own strategies. BOOK GROUPS - WHAT? WHY? WHO? WHEN? ARE LIBRARY LESSONS "REAL" LESSONS? WHY AREN'T CHILDREN READING IN SCHOOLS? © 2019 Barbara Band – School Library, Reading and Literacy Consultant. All rights reserved.